In our last issue we reported on NEMT's response to the Cairngorms National Park Authority Draft Local Plan. 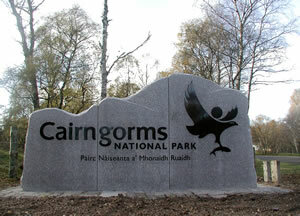 Hot on the heels of this came another consultation, namely the Cairngorms National Park Draft Park Plan. The Local Plan will influence how and where communities and settlements grow, where businesses develop, the types of housing that will be built, opportunities for recreation and how the landscapes and countryside of the Park will change over time. The Local Plan will deliver some of the Park Plan's objectives through the Park Authority's planning and development control role. The Park Plan sets out how the National Park is to be managed in the future, in an integrated and sustainable way. It will be the key strategic management plan for the Park, will replace existing Structure Plans, and covers the conservation, enjoyment, understanding and long-term use of the Park and the people who live, work and visit it. The Authority presented two documents; one setting out a visionary future (25 years hence) and the other setting out some realistic short-term achievable goals (for 5 years). NEMT felt that they contained a lot of good material and common sense. We were, however, concerned that the importance of Wild Land was understated and that the zoning principle was absent. Some of the goals were too loose. NEMT's response to both Consultations can be seen on our website: Park Plan; Local Plan. The interim report on the consultation was produced in September. A revised Park Plan was submitted to the November 2006 CNPA Board meeting, with a revised vision and a revised structure for the National Park Plan. Professor Alan Prior of Heriot-Watt University was commissioned to undertake a review of The Town And Country Planning (General Permitted Development) (Scotland) Order 1992 by the Scottish Executive. This included items that could afford more stringent controls over the building of Hilltracks in mountain areas. As our current activities demonstrate, NEMT see this as a high priority. Since the production of the Spring 06 Mountain Views, therefore, we took the opportunity to write to Professor Prior to provide local examples of where the current planning controls were simply not working.